The link to my Interview for the Whitstable Times. We had to take the car in for its MOT yesterday and we got there in plenty of time. As they said it would take 2 hours it was decided by the pair of us to take Louis for a walk on up to Tankerton which we did. The wind was blowing so cold though that I suggested we should jump on a bus and travel to Hernebay. It was an interesting journey as the bus goes down roads we have never been so we had a good old nose as we looked out of the window. When we got to Hernebay the time had gone so we crossed over the road and jumped on the next bus back. On arriving at the garage exactly 2 hours had pass and we felt real clever with ourselves only to be told by the garage owner that the computers were down so he couldn’t register the car with the DVLA and it will have to be booked in again for another day. Bah!!!!! With that we set off for Tesco and ray got our 3 Anniversary cakes done with 3 different photos on them for our party at Hamble Saturday. They are very well done and we are pleased with them and have tucked them safely in the Motorhome for the journey. Today we are off to shop for all the non perishables party foods so we will be busy today. A few twinges of pain in the shoulder and back and by my heart so I have to make a coffee and take my Paracetamol but it doesn’t worry me now I know the Oncologist has said it is to be expected. I wish the sun would come out again as life is happier when the sun shines. Artex is a trade name for a ‘stipple finish surface’. Lots of local companies will remove it for you at cost. In the industry we assume it is dangerous and don’t touch it at all, we test it. The test takes around 10 days to be discovered clear or not. All ‘Artex’ has been free of asbestos for around 20-30 years now, so if it is new-ish then it will be clear. If you don’t know how old it is, then you can get it tested. So use your judgement, if your house was built in 1990, then it will be clear! Take caution if you suspect it has been there a long time. Asbestos generaly kills around 25-40 years after exposure, and it is the small dust particals that go deepest into the lung, that can cause a mesothelioma cancer, or lung function problems. There are different colours of asbestos, under a microscope the particles are either brown white or blue, all are fatal, all must be treated respectfully. Exposure will not harm you next week! But it is something you must bare in mind. Tests cost around £30 per room, and local companies will test it for you. If you own your property and want to get rid of the stuff cheaply, I suggest you do the following. Use a wallpaper steamer, steam it off carefully, get it very wet. Whilst it is wet it is harmless, and ‘Artex’ contains low levels of asbestos dust anyway, but still dangerous amounts. As it is the dust that causes ill health, I would remove it wet, and steam it gently. Take your time and bag it up and seal the bags closed. Take them to the local tip and tell them they may be asbestos. Red asbestos bags are available from GOOD suppliers of construction equipment, they will have ‘asbestos do not open’ written on them. If you don’t feel comfortable doing this in your home, then call an expert in. At the moment there is nothing stopping you from removing it should you wish from a point of law. Never dump the substance rubbish though. If the ‘Artex’ is in good condition, and not cracking up or flaking off, I would leave it. If you really want to remove it, do it in such a way as not to create any dust. Bag it up whilst it is still damp, and add a small amount of water to each bag and seal the bag. Expert in asbestos and construction assessment. The mention of the word “asbestos” conjures up pictures of factories, mines, shipyards, and construction sites where exposure to asbestos was once commonplace. This resulted in an abundance of individuals who now suffer from asbestos-related diseases, sometimes 30-40 years after they were exposed to the toxic material. What many individuals don’t realize, however, is exposure to asbestos occurred and continues to occur in myriad other places besides the dank mines and factories of yesteryear, where little regard was given to the health of workers who came in contact with asbestos. Indeed, asbestos is in public buildings throughout the U.S. and other countries, causing harm to those who would never expect that they’re being exposed to this toxic material. 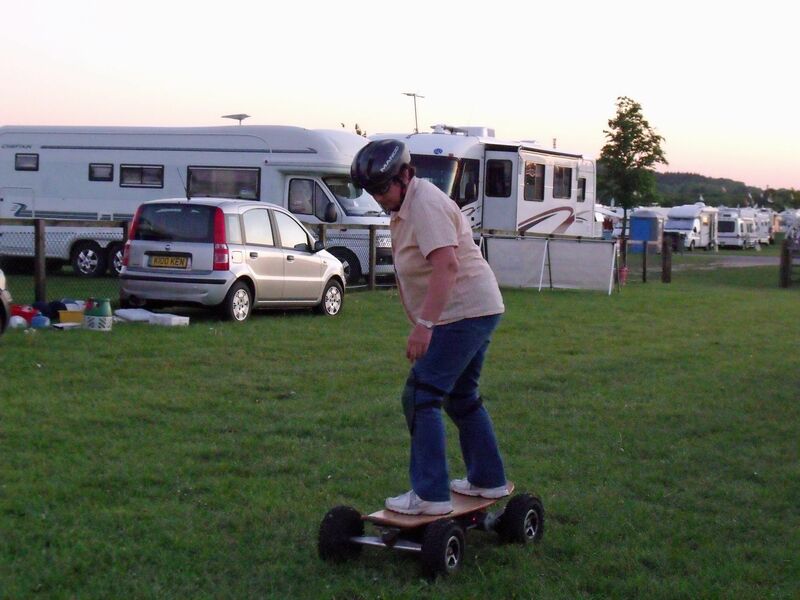 My Diary –camped at the Newbury Motohome show. We set off last thursday for the Newbury motorhome show but we got caught up in so many traffic jams going and coming home which made 7 accidents we had to pass. I motorcyclist has definitely been killed at West Malling And the other accidents must have had serious injuries so I do wish the would drive more sensible nowadays. We had a lovely time at newbury rallying with my cyber friends of the MHFacts and i enjoyed meeting lots of friends again. We sat all together in the field drinking, eating and had lots of fun and games. Bill came on Saturday with Betty and their Grandaughter and we went to the drinks tent where we sat with a beer and chatting away like we were old friends. Then we came back to my Motorhome for a cuppa and to show it off as Bill wants to buy a small one so he could see how much space there is. I have loved camping in her as she is very easy to keep clean and tidy and yet has everything in her to make it a great time. We said our goodbyes and i will miss him but will be in contact when he is back in Saudi. I had wanted to go to Wales after the show but we had to get back for my hospital appointment today. We got up early today and went to Canterbury to do our shopping first and the get the little hospital bus. I sat there very nervous and I knew Ray was worried to. There were other people going in and then coming out with either good or bad news so there were smiles or tears and I began to wonder what I would come out like. Well it was smiles –The result is that the disease is stable. The Oncologist cant believe the life I’m living the life Im living as she just hasnt known a patient like it –she said. 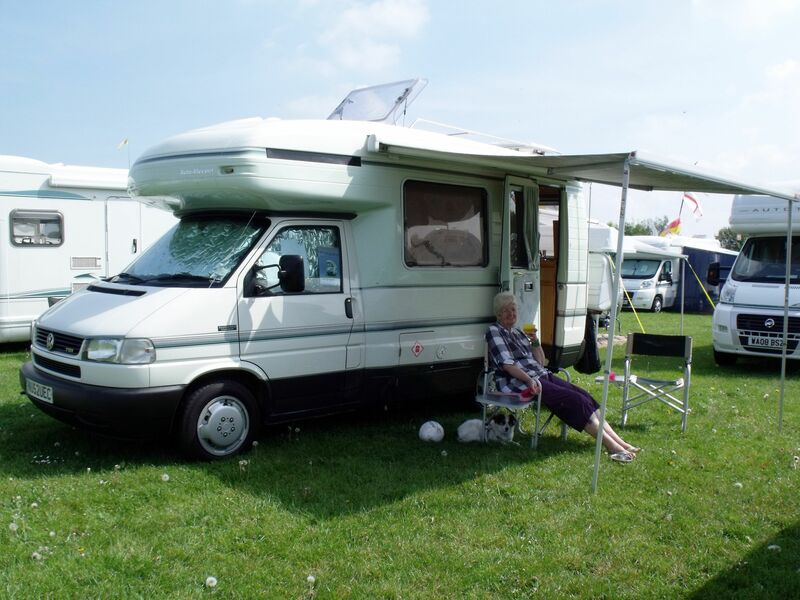 I told her I have a new motorhome and have been camping every weekend with lots planned in the next 3 months–she is just amazed and asked me how do I wish to proceed. I said with scans every 3 months is that a problem?? Oh no!! !but some patients dont want to know how its doing —I said I want to know the minute it starts up again and then you can deal with it. How could anyone not want to know??? So thats how it is left I will get an appointment again in 3 months. She said all the pain Im getting is normal as the Lung is a painful area to operate on and the pain in my heart that I get is normal so just take a paracetamol. We came out elated that we went for a dinner and raised a glass. My nasty is having a battle and Im winning at the moment. 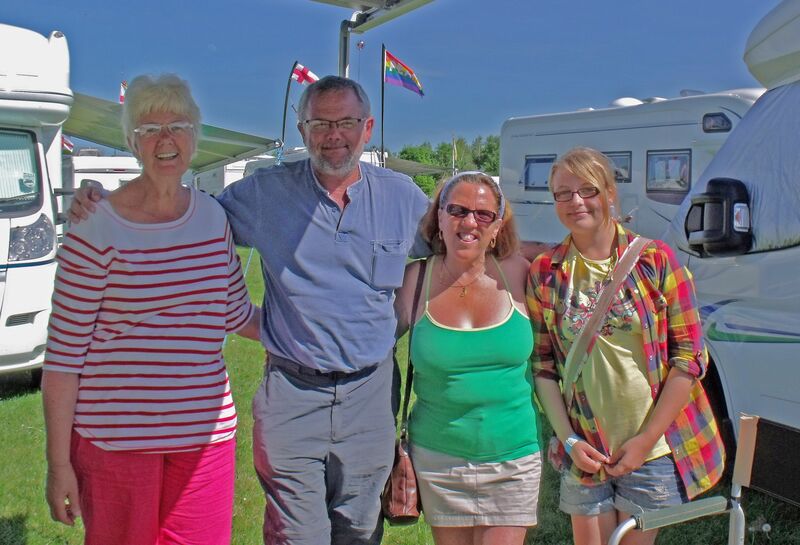 My Diary– It has been a really happy day with the neighbours. What a day today it has been a really very happy day. I chatted to the couple opposite as they sat on their bench in the early sun as they so often do. We were talking about the price of Calor Gas and my new MotorHome. Then I finished the windows and I went to see my neighbour and had a long chat and a laugh as her daughter is also an artist and Ray loves her drawing of a Greyhound that they used to have. We took the dog for an earlier walk on the beech where I bumped into several friends and nattered away about this and that. We finally got home but I fancied some Ice cream so I went over the shops on my own realising I hadnt been over since I was first diagnosed as Ray does all the shopping now. 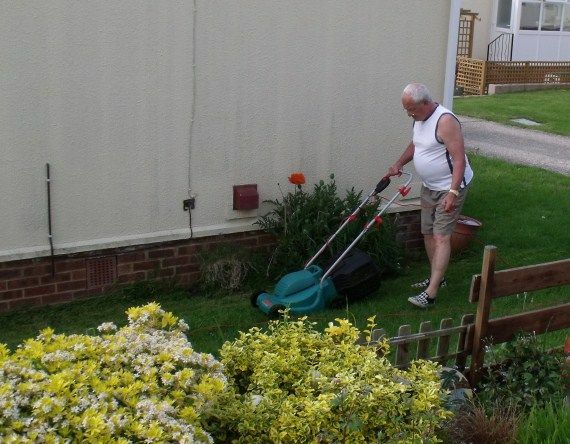 I had a long talk with another neighbour who was cutting her grass. In the afternoon well after lunch Dave next door came out cutting his grass and we were watching out of the window and he never saw us. When he finally stopped we clapped and he realised then that we had been watching the man at work. Once again we had a long natter and a laugh –he is really a lovely friend. So that has been my day I’m worn out with all the talking and laughing I wish the sun shone every day and the neighbours come out. We are off to newbury tomorrow so will be back on Sunday then to the Hospital Monday for the results of my scan. I have been telling everyone but that’s because I’m so nervous as nothing must stand in my way of enjoying my life as it is the best at the moment as i work through my wish list. A very brave local girl has died today —how very sad.